Here's where to watch every episode of Homicide: Life on the Street season 1. Mouseover or tap an episode to see where to stream it. Click or tap the play icon to stream it on the best available service. Gone for Goode Jan 31, 1993 Lewis and Crosetti uncover a woman who's been killing her husbands for insurance money. Howard tries to keep her cases-solved record perfect, but she is reassigned with Felton as her partner. Bolander convinces Munch to help him finish up an unsolved case. A new guy, Tim Bayliss, from the mayor's office gets his first case in homicide, the murder of an 11-year-old girl. His partner Pembleton, we find out, is less than enthusiastic to work with him or anyone else in the unit. 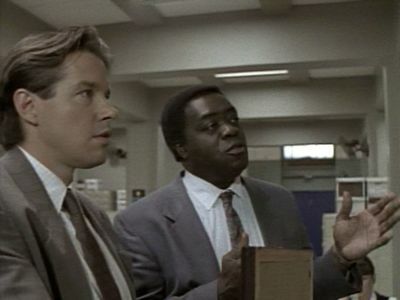 Ghost of a Chance Feb 3, 1993 Bayliss and Pembleton continue to struggle with the Watson case. Bolander and Munch discuss ""iguana style"" and are called to check out the homicide of a victim that isn't dead, at least the first time they're called. While checking out some leads for the Watson case, Crosetti gives his theory on the conspiracy to kill Abraham Lincoln. Lewis wants to flood Memorial Stadium. Bolander expresses an interest in Dr. Blythe; Munch advises and sends flower's in Stan's name. Danvers needs a stronger case; however, Howard is frustrated with a dead end. Then the ghost of the victim leads her to the undiscovered proof. Tim attends Adena's funeral. Son of a Gun Feb 10, 1993 "Son of a Gun" is the third episode of the first season of the American police drama television series Homicide: Life on the Street. It originally aired on NBC in the United States on February 10, 1993. The teleplay was written by James Yoshimura based on a story by executive director Tom Fontana, and the episode was directed by Nick Gomez. In the episode, recurring character Officer Thormann is shot while on duty, and his close friend Crosetti takes the investigation personally. "Son of a Gun" was originally supposed to be the fourth episode of the first season, but was broadcast third when the episode "Night of the Dead Living" was moved to the end of the season. The shooting of a police officer, as well as other aspects of the script, were directly inspired by real-life events chronicled in David Simon's non-fiction book, Homicide: A Year on the Killing Streets. The episode included guest appearances by actors Luis Guzmán, Paul Schulze and Edie Falco, who played Thormann's wife. It also marked the first of five appearances by Washington Bullets team sports announcer Mel Proctor, and the first appearance by actor Walt MacPherson, who would later be cast as recurring character Detective Roger Gaffney. A Shot in the Dark Feb 24, 1993 "A Shot in the Dark" is the fourth episode of the first season of the American police drama television series Homicide: Life on the Street. It originally aired on NBC in the United States on February 24, 1993. The teleplay was written Jorge Zamacona based on a story by executive director Tom Fontana, and the episode was directed by Bruce Paltrow. In the episode, Crosetti focuses his investigation into the shooting of Officer Thormann on one suspect, while Lewis continues to investigate. Meanwhile, Pembleton and Bayliss pursue different leads in the murder case of 11-year-old Adena Watson.The shooting of a police officer and the murder of young girl were both directly inspired by real-life events chronicled in David Simon's non-fiction book, Homicide: A Year on the Killing Streets, on which the series was based. "A Shot in the Dark" continued a string of guest appearances by actress Edie Falco as Eva Thormann, the wife of Officer Thormann. "A Shot in the Dark" was seen by 8.9 million households in its original broadcast. Although an improvement over the previous episode "Son of a Gun", the rating was considered a disappointment, continuing the show's downward trend in ratings. "A Shot in the Dark" suffered in particular due to direct competition from the 35th Grammy Awards. The episode, along with the rest of the first and second seasons of Homicide: Life on the Street was released on DVD in the United States on May 27, 2003. Three Men and Adena Mar 3, 1993 Pembleton and Bayliss have only twelve hours to grill their prime suspect in the Adena Watson case before they must let him go. A Dog and Pony Show Mar 10, 1993 "A Dog and Pony Show" is the sixth episode of the first season of the American police drama television series Homicide: Life on the Street. It originally aired on NBC in the United States on March 10, 1993. In the episode, Pembleton and Bayliss investigate the murder of a police dog, Crosetti helps his friend adjust after a serious injury, and Felton and Howard suspect a drug dealer for a brutal murder.The episode was written James Yoshimura based on a story by executive director Tom Fontana, and was directed by Alan Taylor, who Homicide executive director Barry Levinson chose after being impressed by Taylor's short film That Burning Question. Elements of the episode, including the shooting of patrolman Chris Thormann, were adapted from David Simon's non-fiction crime book, Homicide: A Year on the Killing Streets. "A Dog and Pony Show" included guest appearances by actors Michael Constantine, Larry Gilliard, Jr., Lisa Gay Hamilton and Edie Falco.Since ratings for Homicide had gradually declined throughout the season, NBC announced a decision about whether the series would be renewed would depend on the Nielsen ratings of the final four episodes, starting with "A Dog and Pony Show". Before it aired, Barry Levinson appeared in a commercial making a direct appeal to viewers to watch. Nevertheless, it was seen by 8.47 million household viewers, which was considered relatively low, although it was an improvement over the previous episode "Three Men and Adena". And the Rockets' Dead Glare Mar 17, 1993 "And the Rockets Dead Glare" is the seventh episode of the first season of the American police drama television series Homicide: Life on the Street. It originally aired on NBC in the United States on March 17, 1993. In the episode, Howard testifies in a murder trial, Pembleton is offered a promotion, and Lewis and Crosetti go to the Chinese Embassy in Washington, D.C. to investigate a political refugee's murder.The teleplay was written by Jorge Zamacona based on a story by executive director Tom Fontana, and the episode was directed by Peter Markle. 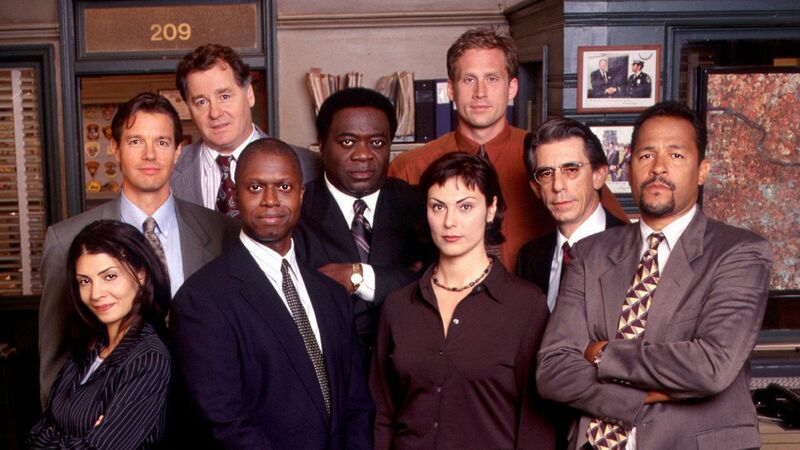 It marked the first appearances of two recurring characters: defense attorney Darin Russom and Detective Frank Pembleton's wife Mary, who was played by actor Andre Braugher's real-life wife Ami Brabson. The episode also featured a guest performances by actress and future model Bai Ling.The murder trial portrayed in the episode is based on a trial featured in David Simon's 1991 non-fiction book, Homicide: A Year on the Killing Streets, on which the series was based. Howard's procedural missteps, and her subsequent recovery, was based on that real-life trial. The writers sought to realistically portray the trial scenes by focusing on less dramatic courtroom elements. Some of the detectives in "And the Rockets' Dead Glare" make arguments for drug liberalization, particularly John Munch, whose arguments were inspired by actor Richard Belzer's real-life personal history with drug abuse. Smoke Gets in Your Eyes Mar 24, 1993 "Smoke Gets in Your Eyes" is the eighth episode of the first season of the American police drama television series Homicide: Life on the Street. It originally aired on NBC in the United States on March 24, 1993. In the episode, Howard and Bayliss attempt to quit smoking, Gee discovers secret asbestos removal in the squad room, and Munch and Bolander investigate the beating death of a 14-year-old boy. The teleplay was written by James Yoshimura based on a story by executive director Tom Fontana, and the episode was directed by Wayne Ewing, who doubled as director of photography.The episode featured a cameo appearance by film director and Baltimore native John Waters as a bartender. "Smoke Gets in Your Eyes" was originally supposed to be the first season finale, but the episode "Night of the Dead Living" was moved to the end of the season because NBC programmers felt it was too slow-paced to show any earlier in the season. During one scene, Munch and Bolander convince a suspect the copy machine is a dangerous lie-detector machine. This was inspired by a real-life trick used by the Baltimore Police Department and documented in David Simon's 1991 non-fiction book Homicide: A Year on the Killing Streets, on which the series was based. It was later used in an episode of Simon's police drama series, The Wire. Night of the Dead Living Mar 31, 1993 "Night of the Dead Living" is the ninth episode and first season finale of the American police drama television series Homicide: Life on the Street. It originally aired on NBC in the United States on March 31, 1993. In the episode, the homicide squad works the night shift on a summer evening, but no calls come in, leaving the detectives to brood over their personal matters. The teleplay was written by Frank Pugliese based on a story he wrote along with executive director Tom Fontana. It was directed by Michael Lehmann. "Night of the Dead Living" was originally intended to be the third episode of the season, but NBC programmers moved it to the end of the season because they felt its slow pace and lack of traditional action was inappropriate early in the series, when the show was trying to woo viewers. The broadcast schedule change led to some consistency and time-line errors, which Homicide producers addressed by adding the words "One hot night, last September..." to the beginning of the episode. Actress N'Bushe Wright makes a guest appearance as a cleaning woman who loses her baby in the police station.Since ratings for Homicide had gradually declined throughout the season, NBC announced a decision about whether the series would be renewed would depend on the Nielsen ratings of the final four episodes, including "Night of the Dead Living". Nevertheless, it was seen by 6.7 million household viewers, marking one of the lowest viewerships of the season. It received generally positive reviews upon its original broadcast, although some mainstream television audiences were turned off by its minimalist approach. It marked the last original episode of Homicide for nine months until the second season premiere, "Bop Gun". The episode's teleplay won a Writers Guild of America Award for Outstanding Achievement in Television Writing for Episodic Drama.